Once known for Ice Manufacturing and import/export, is now a major hub for ironically two opposing industries: Contemporary Art and Border Patrol. My, how things have changed in the past 20-30 years! From the moment you enter the town of Marfa, you are mesmerized by the one traffic light that is constantly flashing red. 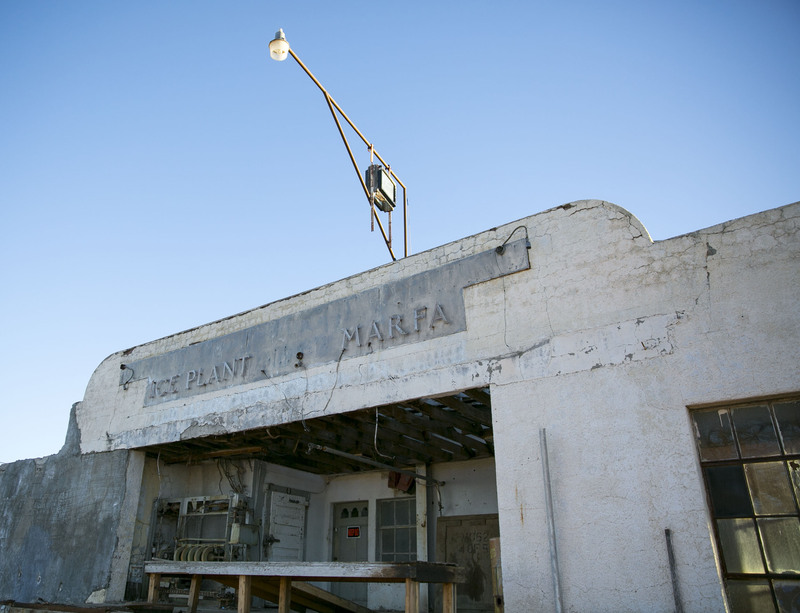 Along with the visual, Marfa comes with an ongoing audio track. The sound of a train horn breaks the silence of this peculiar and remote town. 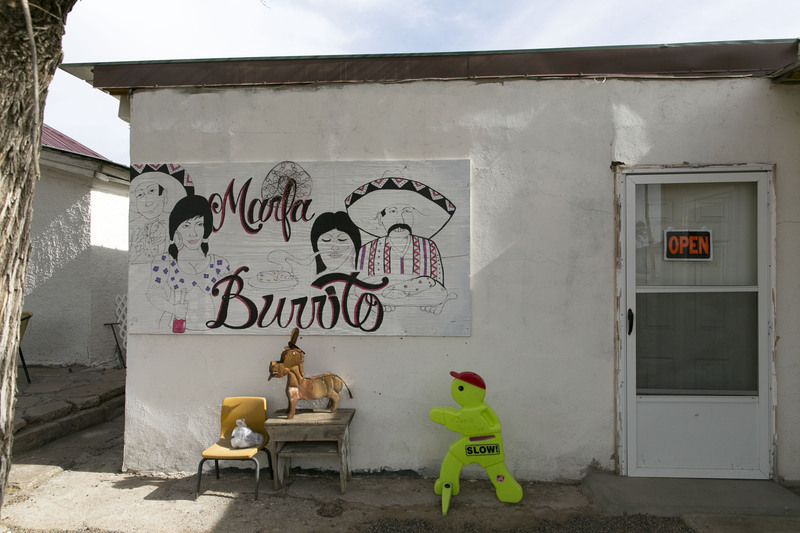 Fly into El Paso and drive about 2 and a half hours along the Mexico/US border to Marfa. 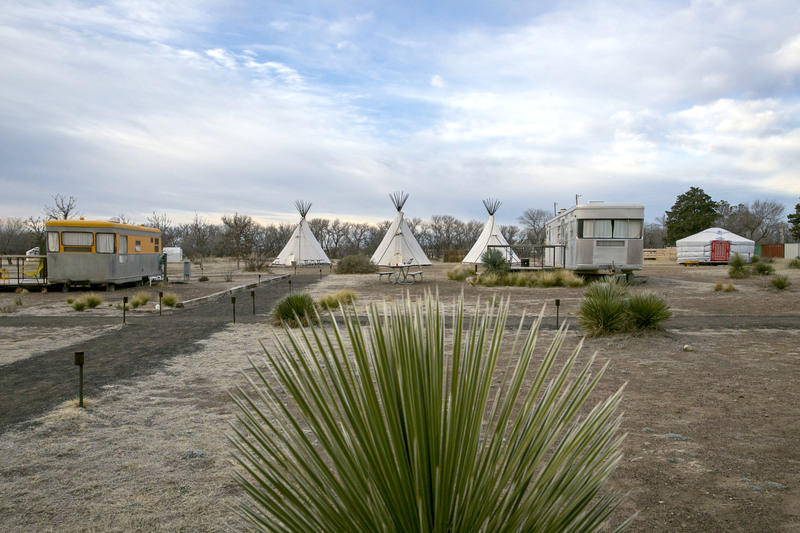 A must-see stop is their most famous exhibit along the way, The Prada Marfa. 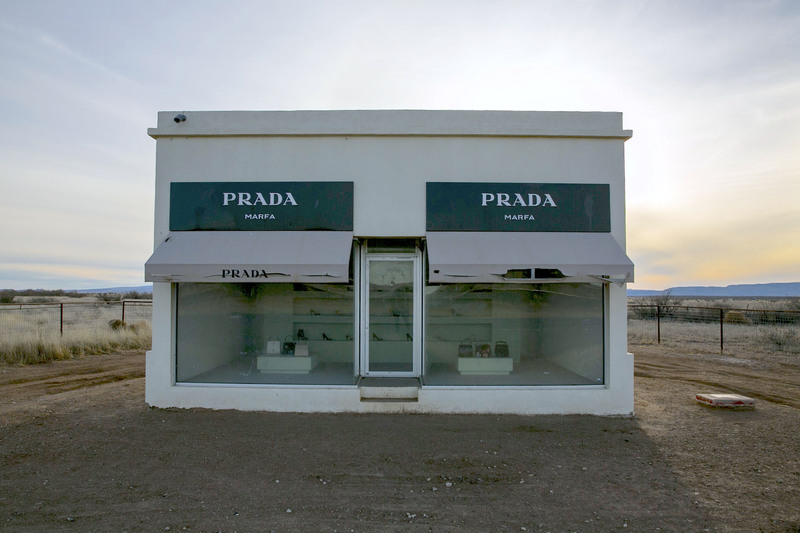 Off of highway 90, this art installation is disguised as a pho-Prada store. The exhibit displays vintage designer products in the windowsill as the awning eerily flaps in the wind in the Texan desert. 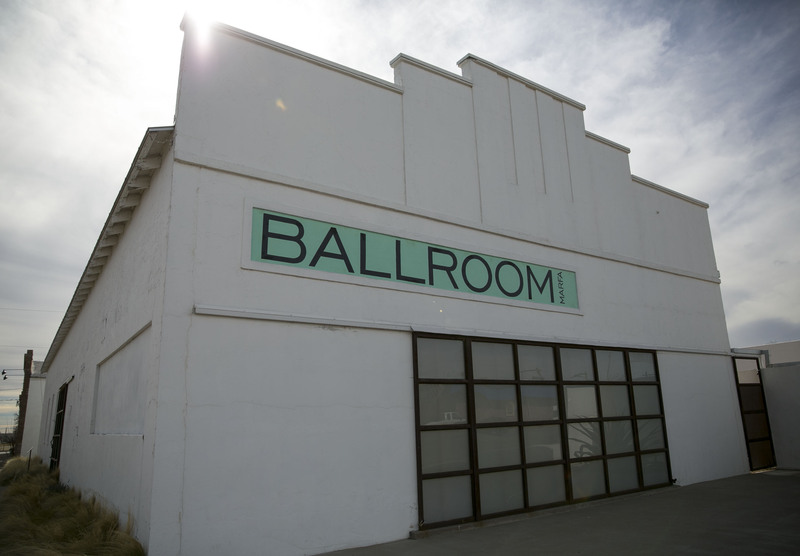 After the Prada stop, drive another 45 minutes to the city of Marfa. 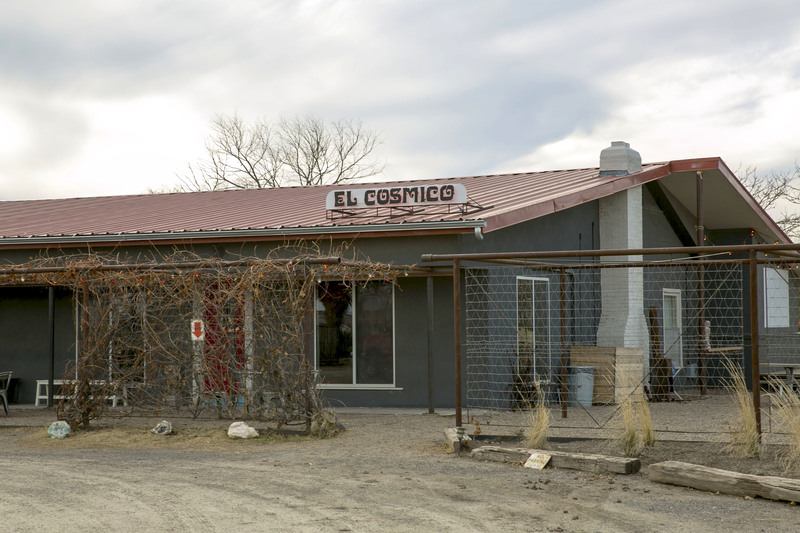 Glamp it up at El Cosmico, a “nomadic hotel and campground”, located just south of town on Highland Ave. Glamping (or glamorous camping) allows you to experience the outdoors without sacrificing modern luxuries. Weird, funky and cool, best describes the refurbished vintage trailers, campground, and luxury teepees/yurts for rent. We stayed in the refurbished 1940’s Kozy Coach trailer complete with kitchen, Stumptown Coffee, and a wooden balcony adjacent to a private, outdoor shower. It can get chilly at night, so you may need an extra space heater. 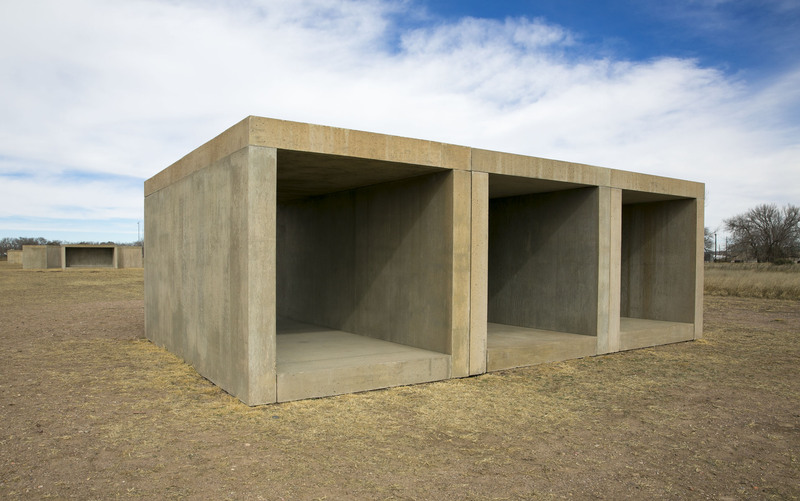 The Chinati Foundation (pronounced Ch-na-ti) was formerly owned by Donald Judd, but it is now a separate institution from the rest of the Judd Foundation. It is comprised of mostly Judd’s work, yet includes a few other contemporary artists that Judd respected such as Dan Flavin, John Chamberlain, and Ilya Kabakov. I recommend you reserve a day tour in advance. The Judd foundation offers tours of almost all of their spaces to the public, but you must schedule an appointment. We toured Donald Judd’s personal home in town, which has many of his works, his library, and offers a unique perspective on space. 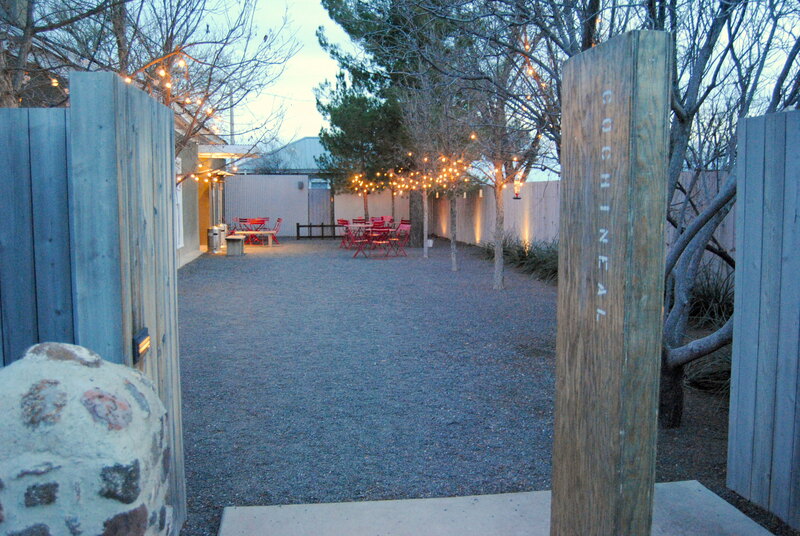 This gallery is located between the Marfa Public Radio studio and the one traffic light in town. It’s a refurbished space, and we viewed an unusual photography exhibit centered around what it’s like to be at a modern-day rodeo. 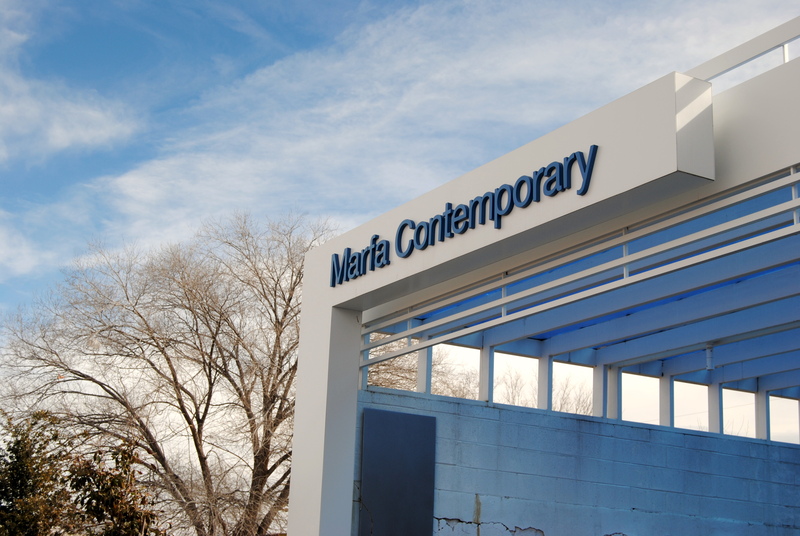 The gallery runs a few art spaces in the city of Marfa, including an interesting experimental film exhibit while we were there. They also operate the Prada Marfa. This special exhibit by artist, Zoe Leonard, was one of our favorite destinations put on by the Chinati Foundation. They occupied an abandoned ice factory on the outskirts of town, and turned it into a giant pinhole camera to create a mesmerizing perspective of the outside world. We watched the sun rise through this unusual pinhole camera on its last day as an exhibit. An added bonus was that the Chinati treated us to free coffee and muffins! 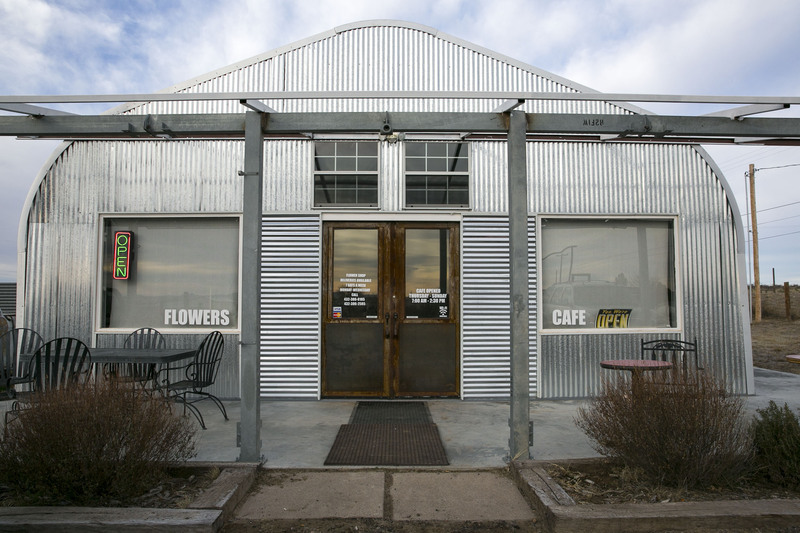 Our favorite coffee shop in Marfa is located right behind the Marfa Book Store. 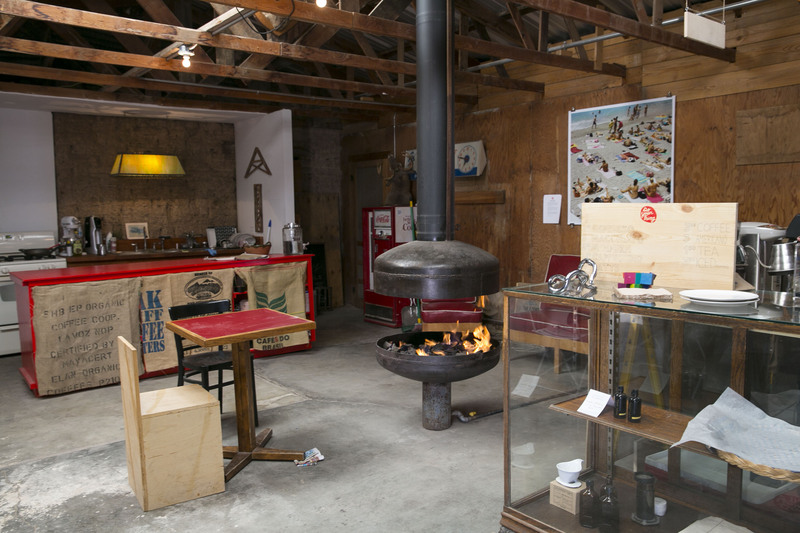 It’s a homey atmosphere with a homey fireplace, free wifi, and the best coffee in town. 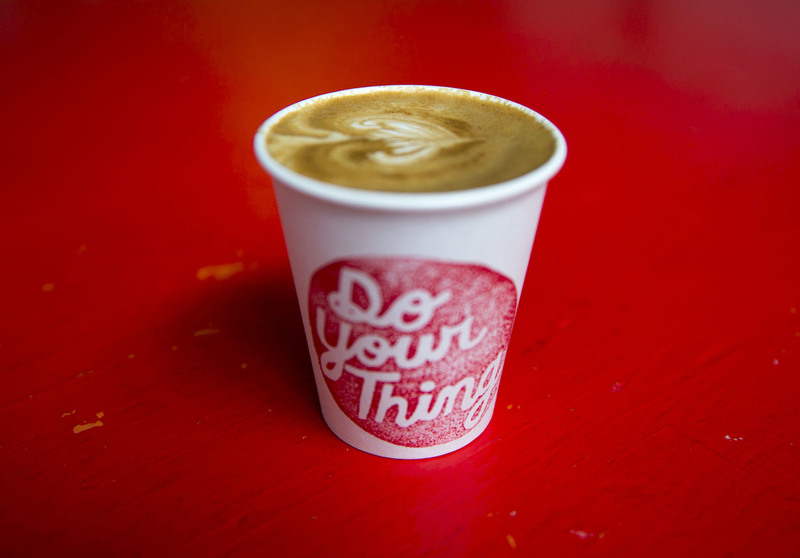 They offer Blue Bottle Espresso and pour overs from a Dallas-based roaster. Another option for coffee and teas is this cute, little shop connected to tumbleweed Laundromat. You can get a quick muffin to go, coffee, chai, and ice cream. A basic breakfast joint in the heart of downtown, offers good options for something simple, like waffles or eggs. On the way out of town, stop off at this funky spot known for selling house-made doughnuts and boutique flower arrangements. A hole-in-the-wall spot, located in a house next to the large Border Patrol offices, is a perfect place to brush up on your Spanish (no English is spoken). 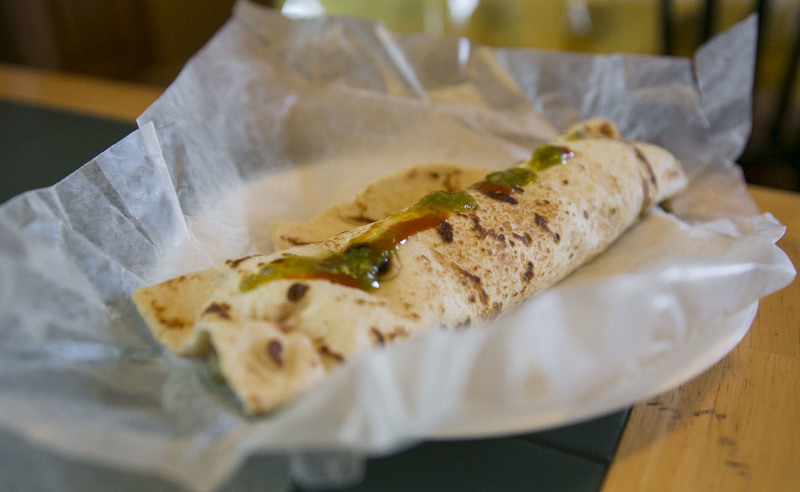 Only three or four items are on the menu, but it has awesome, authentic, Mexican Food. This new American restaurant is ultra hip! We totally dug the the tequila old-fashioned and came back for more good eats and drinks on our last night! With a rotating menu, it epitomizes seasonal food. 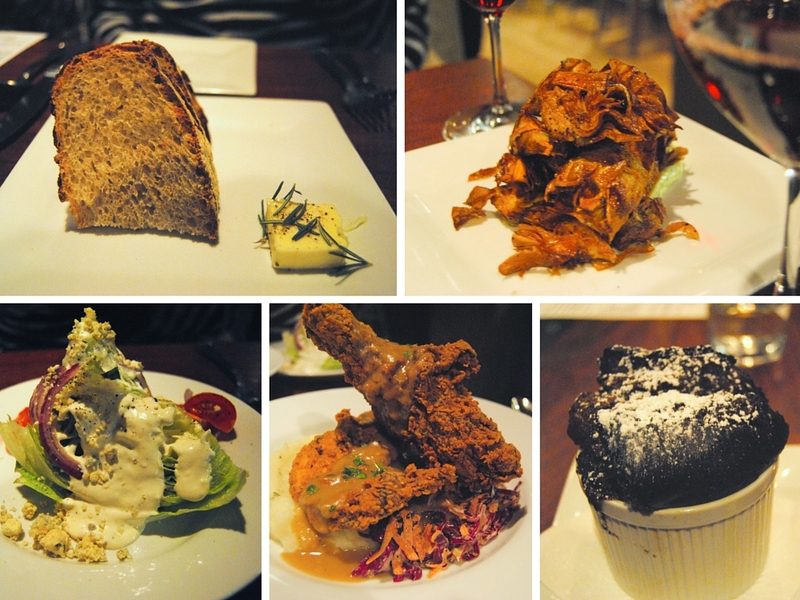 The dinner winners include their house-made breads with Marfa yeasts and herbed butters, starters of fried artichoke and iceberg wedge with blue cheese dressing, and for the main, enjoy their fried chicken with mashed potatoes. Be sure to save room for dessert – we loved their blueberry crumble and decadent warm chocolate souffle. To top it off, try a few of Cochineal’s fantastic cocktails. Reservations are recommended here. 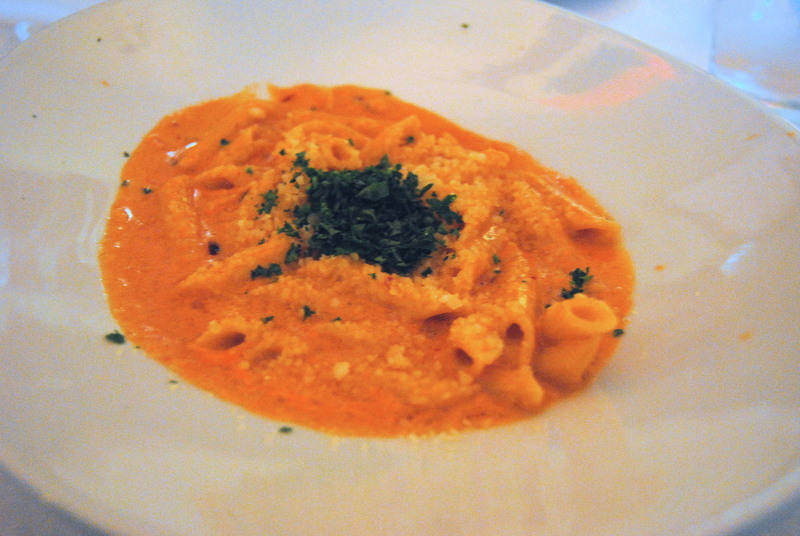 Check out this simple Italian restaurant in town serving large portions, flavorful food, and a cool atmosphere. Their house bread is addictive, so try to limit yourself to a few pieces but save lots of room for the rest of your supper. 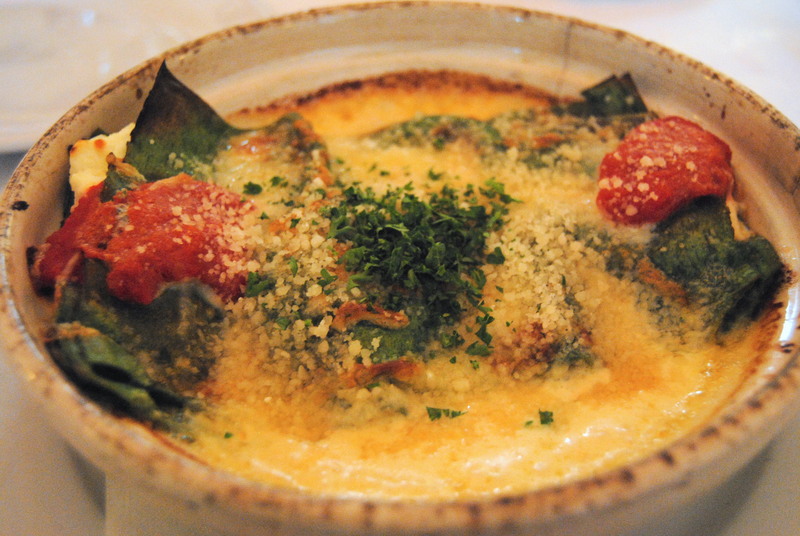 We ordered a glass of their suggested white wine to pair with a delicious made-from-scratch spinach lasagna. This small-town-America has charming stores, tex-mex grub, and the historic Fort Davis. Stroll straight into the past at this national historic site, which has a restored exhibit on the history of the town. If you were wondering… yes it is named after Jefferson Davis, the president of the Confederacy. 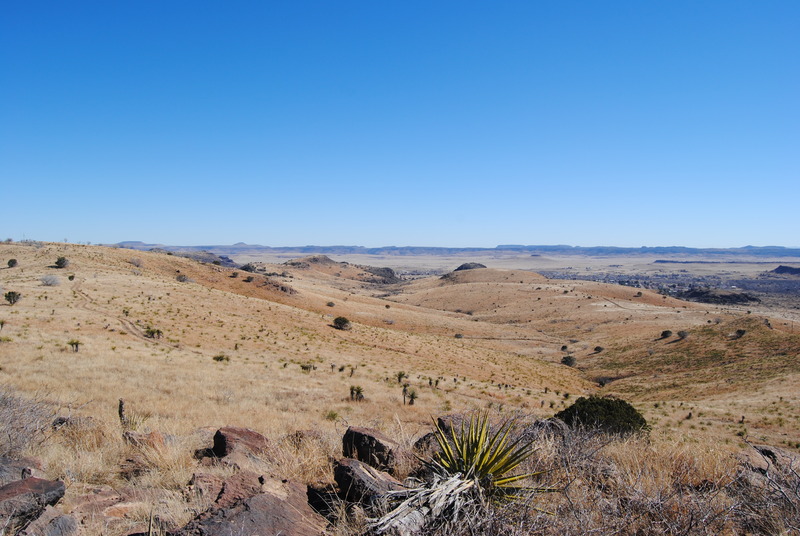 Enjoy active day hikes and camping in a cluster of desert mountains about hour’s drive outside Marfa. The University of Texas at Austin runs this observatory in Davis State Park. It is so remote, that the stars are unaffected by light pollution, so you can gaze at the night’s sky. We went on a Saturday night for the Star Party, which is when they open the observatory to the public, offer astronomy lectures, and let you view constellations thru their professional telescopes. A nerdy experience, yet we learned a lot and thought it was fun! With the cloud cover, it can be hit or miss. 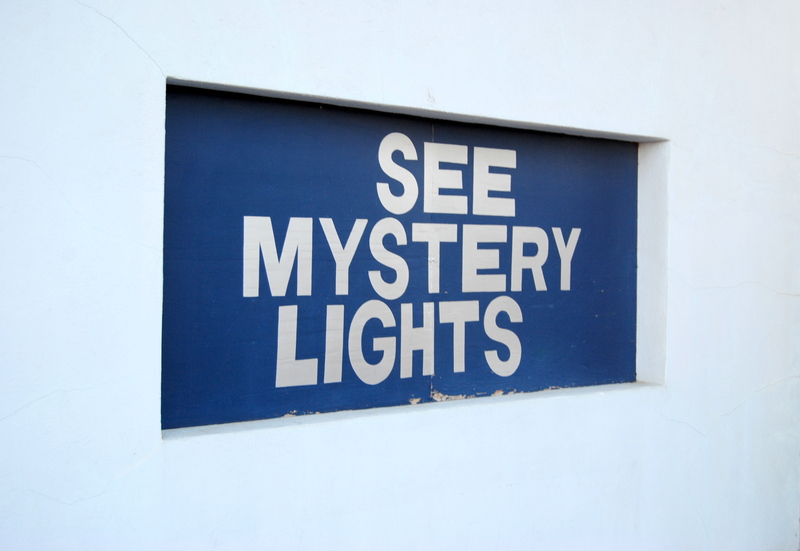 One of the town’s bizarre attractions is an observation deck about 10 minutes out of town where you can see “mystery lights.” Although these red lights may seem to be bouncing in undetermined patterns, it’s most likely cars driving in the distance. Nevertheless, it’s worth seeing this urban tale for yourself, and you can take in some more star gazing. Also, you may be lucky enough to witness a few shooting stars. Marfa, Texas was definitely a trippy place to visit. You can squeeze it all into 2 full days, although we wish we had a bit more time to go explore Big Bend National Park. 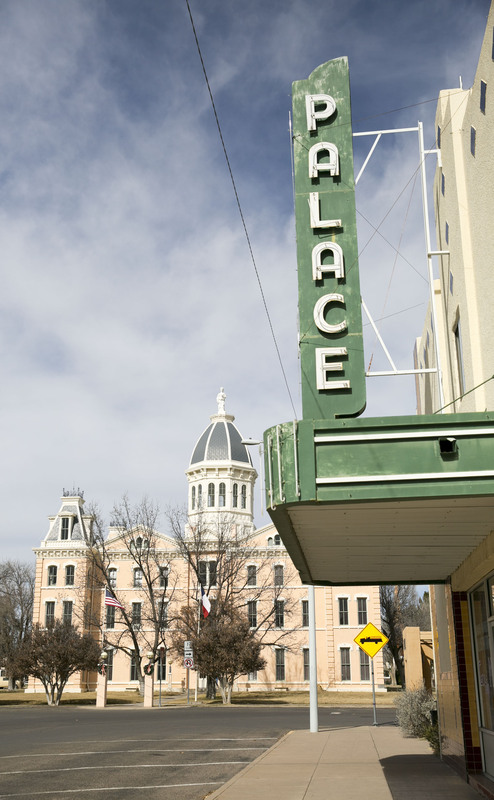 Deep in the heart of Texas is an isolated little town with a whole lot of art and culture! Written by Ariel Sultan. Special thanks to my friend, Bryan Meisel! I’ve been wanting to check out the Marfa Lights for quite awhile. Towns sounds cool, too. It’s very a very weird thing to see!